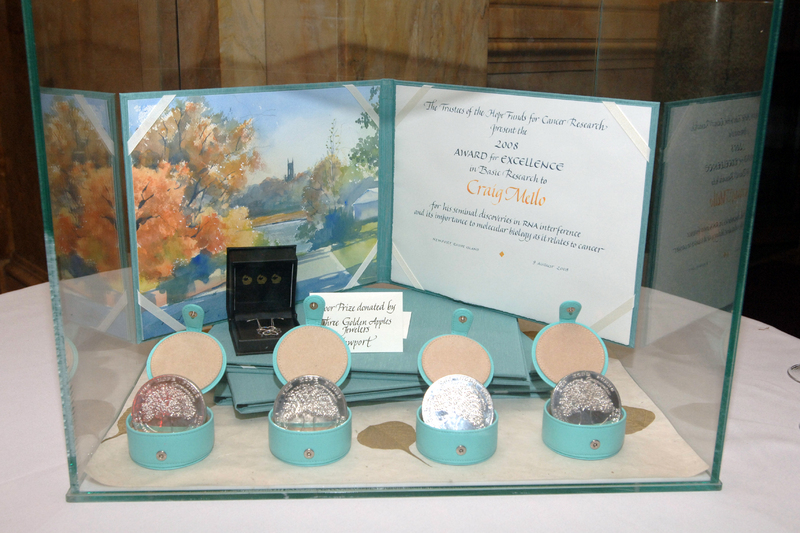 The medals were designed by the artist Bill Jacklin and were generously manufactured by the Newport, RI jeweler, Three Golden Apples. 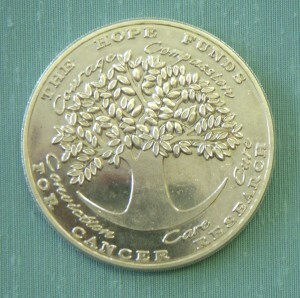 The front side of the medal is a tree which symbolizes life and the words COURAGE, COMPASSION, CONVICTION, CARE and CURE. The inscription on the reverse side of medal has the recipient’s name and the category of the honor. The medals, each weighing approximately 150 grams and with a diameter of 2.5 inches, are made of sterling silver. Bill Jacklin is a member of the Royal Academy of Art and is represented by Marlborough Fine Art in London and Marlborough Gallery in New York City. His paintings are in the collection of many museums including the Tate in London, the British Art Museum at Yale University and the Metropolitan Museum of Art in New York City. The diplomas are presented in binders designed by the Hope Funds for Cancer Research and provided by the bookbindery Talas in New York City. The calligrapher for the project was Jane Parillo of East Greenwich, Rhode Island and the text states the person or persons to whom the Hope Funds is presenting the Honor plus a citation explaining why. 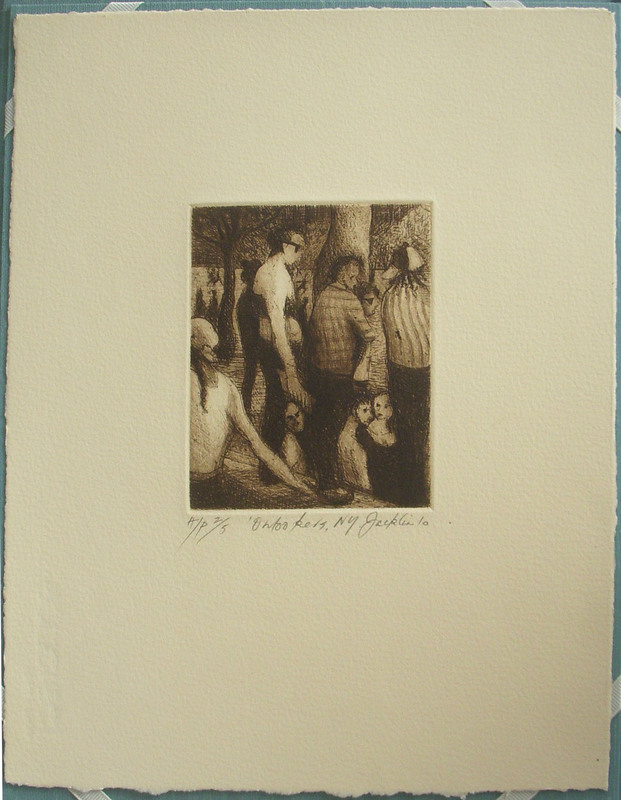 The art work for the 2011 Diplomas was done Bill Jacklin, an artist living and working in New York City, London and Newport, Rhode Island. Bill is the only member of the Royal Academy living in the United States. He was elected a Royal Academician in 1991 and in 1993 was Official Artist-in-Residence for the British Council in Hong Kong. Jacklin presently lives and works in New York. Moving to New York in 1985, Bill Jacklin has concentrated on painting ‘Urban Portraits’ of ‘the city’ in all its guises; from large scale canvases of crowds in flux to intimate moments in Seurat-like etchings. The artwork for the Hope Funds diplomas, shown here, depict Washington Square in New York City and are highly representative of the artist’s work.